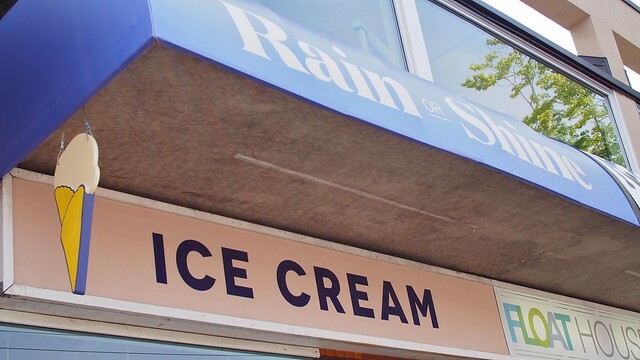 Dessert from Rain or Shine Ice Cream on West 4th Avenue in Kitsilano on May 31 and June 7, 2014. 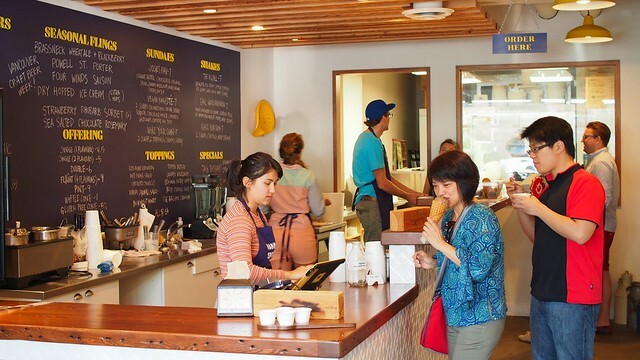 Beachcombers and 4th Avenue shoppers are flocking to Kits' new local ice creamery. 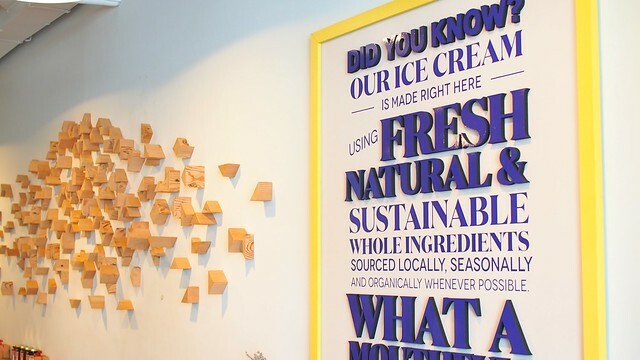 I joined them on two separate occasions to get my cold cream fix and sample their array of homemade flavours. Rain or Shine has a nice mix of favourite and seasonal flavours. I was sadly disappointed by many of their top flavours being sold out by midday on both visits including the very popular coffee toffee. Of the many choices, I tried the salted caramel, brown butter snickerdoodle, and cracked mint (twice). 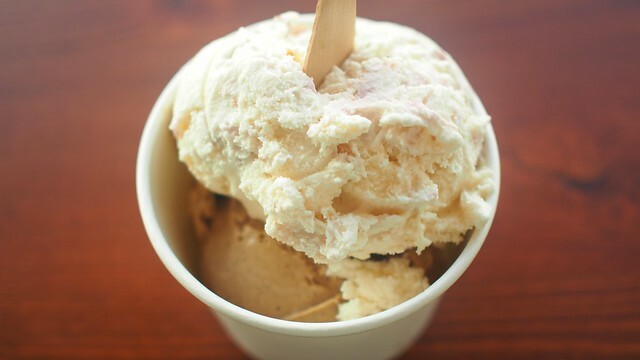 The caramel was nicely salty and creamy while the mint was quite refreshing in its strong flavour. The snickerdoodle had a great cinnamon cookie taste and texture. 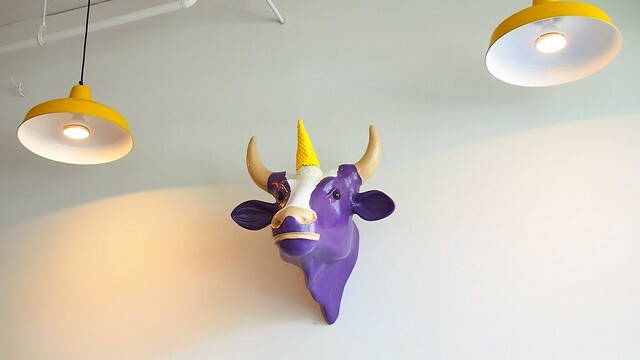 I was a fan of all the dairy and wood themed decor and classic ice creamery atmosphere as well as the plethora of original and standard flavours. Update: Both the waffle maple berry and coffee-toffee flavours were both quite tasty. The former had a rough yet sweet flavour while the latter was crispy with its toffee chunks and bits. 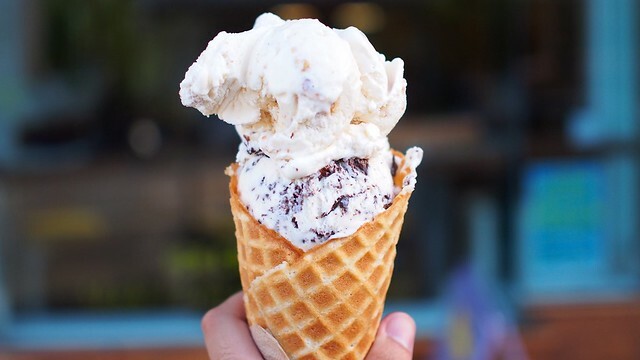 More | YVArcade / Cup / Flight / Earnest / Salt & Straw / V.I.A.